Jonah Lehrer is a young American science writer and journalist who writes on the topics of psychology, neuroscience, decision-making and the connections between science and humanities. He has published three books: Proust Was a Neuroscientist (2007), How We Decide (2009) and Imagine: How Creativity Works (2012). He also writes posts for The New Yorker, on his blog Frontal Cortex. 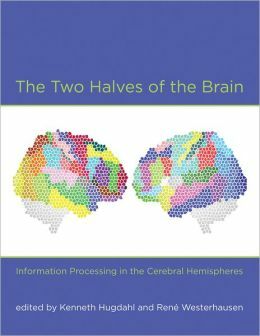 This is a review of his second book, How We Decide (Houghton Mifflin Harcourt), which provides, in 303 pages, a micro-analysis of the way we make decisions and of how we can improve this process, as the human brain is “the most complicated object in the known universe”. 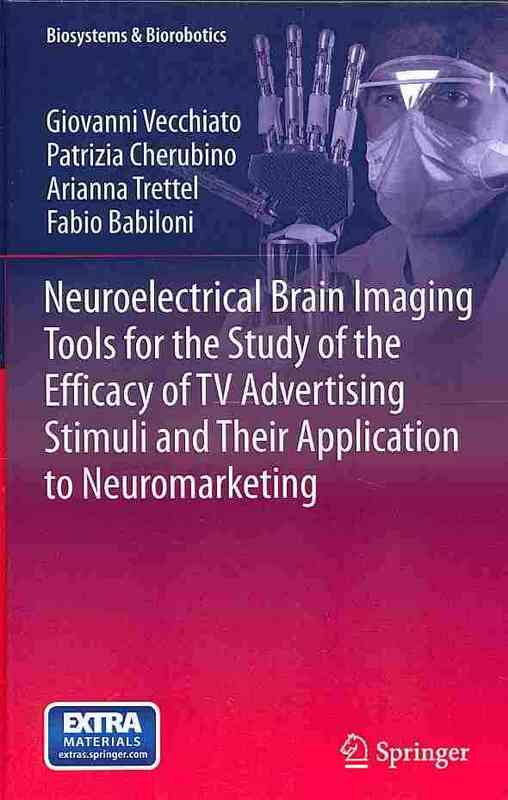 Neuroscience and neuromarketing are gaining a lot of attention in the marketing field, and decoding the decision making is of course in the spotlight. Everyday we make decisions, we are defined by them, so it is vital to understand this process in order to refine it. Jonah Lehrer wraps the information he provides with stories and with details from over 200 academic research results, because “the black box has been broken open”, understanding human behavior from the inside. The book’s engaging content also presents the thin line between a good decision and a bad decision, as there is “the Apollonian logic versus Dionysian feeling; the id against the ego; the reptilian brain fighting the frontal lobes” and good decisions require using both sides of the mind. As the author states, “those three pounds of flesh” inside the skull determine all of our (economic) decisions. How We Decide shows us how to take advantage of our varied mental tools. The first chapter emphasizes on the importance of emotions in decision making. As the author reports, Plato imagined the mind as a chariot pulled by two horses (a well-behaved one and a stubborn one); the rational brain is the charioteer, as it holds the reins and decides where the horses run. Using this metaphor, Plato divided the mind into two separate spheres, where desire and reason are pulling in different directions. On the other hand, Freud imagined the human mind as divided into a series of conflicting parts. Modern science came up with a new metaphor: the mind is a computer with “software programs running on three pounds of neural hardware”. One of the stories Jonah Lehrer presents is about how a player made the decision that led his team to victory at 2002 Super Bowl. Another interesting one is about a man who had a brain damage near the frontal lobe and lost emotions, leaving him unable to make decisions. His pathology suggests that emotions are a crucial part of the decision making process, as “a brain that can’t feel can’t make up its mind”. Also, the orbitofrontal cortex (concerned with perceptions of emotional states) connects the feelings generated by the amygdala to the stream of conscious thought, making Homo Sapiens “the most emotional animal of all”. The second chapter explores the intelligence of our emotions and how they meet our expectations. The author presents the importance of the anterior cingulate cortex (populated with spindle neurons – related with higher cognition – are receiving input from dopamine neurons which tell us how we should feel about what we see), which controls the relationship between what we know and what we feel. In this way, we incorporate the lessons of the past into our future decisions, avoiding repeating the same mistakes. One of the stories is about the crucial decision made by Lieutenant Commander who controlled a British destroyer during the Persian Gulf War. Another one covers the case of a chess, backgammon and poker expert and champion. 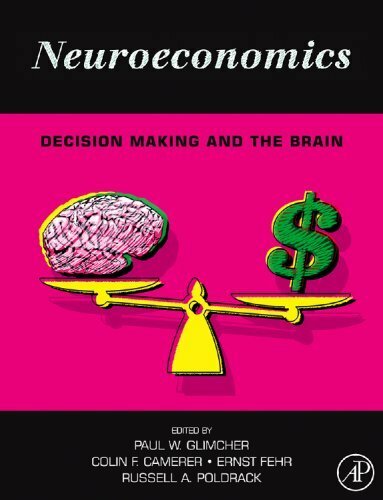 As dopamine neurons get excited by predictable rewards and by surprising ones and dopamine rich areas of the brain (ventral caudate) encode the ability to learn from what-if scenarios, the author explores how the brain deals with investment decisions on the fluctuations of Wall Street. Furthermore, this chapter presents “loss aversion” as being a mental defect and powerful habit that comes with a negativity bias. An interesting discussion is concerning the use of credit cards, as they cause people to make stupid financial choices, making it harder to resist temptation and altering the calculus of our decisions. Brain imaging research suggests that paying with plastic credit cards reduces activity in the insula (brain region associated with negative feelings), being an anesthetic against the pain of payment, as the emotional brain doesn’t understand economics. Here is why reason is also an important decision maker. One of the stories is about a teacher with Parkinson who became a slot machine addict and lost everything in her life, after taking the treatment for her disease (which stimulated her emotions and inhibited her reason). Another interesting one is concerning the game show “Deal or No Deal” and how contestants make decisions. This chapter introduces the expression “perceptual narrowing”, as for example panic reduces awareness to the most basic instincts. Because the mind isn’t a purely rational machine, it is difficult to define rationality. The author give some examples of how decisions change if we change the frame and states (based on research) that the prefrontal cortex is able to take an abstract concept and develop an original solution. He also emphasizes the role of working memory on intelligence. Pointing out how reason is important in certain circumstances, the author presents the story of a firefighter who survived a difficult fire. Another story is about a young, bright girl that suddenly changed her personality, because of a brain tumor. An excitement story is the one with a captain that instantly came up with a plan to maneuver an adrift plane without basically everything working. As the author states, “this new science of decision making (a science rooted in the material details of the brain) is most interesting when the data turns out to contradict the conventional wisdom”. Thinking too much diminishes the talent and can trigger chocking, as there are actions that are better performed on autopilot. When the rational brain hijacks the mind, people tend to make decision-making mistakes, ignoring the wisdom of their emotions (choosing what sounds best instead of what feels best). So conscious thoughts interfere with good decision-making. This chapter introduces the “anchoring effect” – a meaningless anchor can have a strong impact on subsequent decisions. Jonah Lehrer presents the stories of an opera singer and of a golf player that destroyed their careers because of their conscious ‘thoughts’. When making decisions, we assume that more information is better. But this approach has its limitations rooted in the brain, as the prefrontal cortex can handle only a certain amount of information at a time. So both reason and feeling have important strengths and weaknesses, and different situations require different cognitive strategies. As Jonah Lehrer says, making decisions are supposed to rest on a firm logical and legal foundation. Usually decision making during shopping sessions involves selfishness. On the other hand, moral decisions require sympathy, taking other people into account, so the egocentric strategy backfires. The superior temporal sulcus, posterior cingulate and medial frontal gyrus are responsible for interpreting the thoughts and feelings of other people. A brain imaging study reveals that from the perspective of the brain, it is literally better to give than to receive. This chapter also presents the mirror neurons and how they act on feelings, not on thinking. The orbitofrontal cortex and the amygdala are essential for social interaction. Stories of this chapter include the one of a psychopath who murdered thirty-three boys, presenting the way decided to commit those crimes without a wink. As neuroscientists learn about the brain by studying what happens when something goes wrong with it, there is also a story about autism. While the cortex struggles to make a decision, rival bits of tissue are contradicting one another, having “sharp internal disagreements”. Lehrer also presents neuroscientific studies on what happens inside the brain when a person makes a typical consumer choice, revealing how the activity in the nucleus accumbens (desire), insula (aversive feelings) and prefrontal cortex (reason, acting like a “spectator”) can predict future buying decisions. As the author notes, shopping centers are tweaking our brains, trying to soothe the insulas and stroke the nucleus accumbens (a part of the brain that generates pleasurable feelings), conditioning us to crave a reward. It seems that the only way to counteract the bias for certainty is to encourage inner dissonance, forcing ourselves to think about the information we don’t want to think about, paying attention at the data that disturbs our beliefs, because censoring our minds by turning off brain areas that contradict our assumptions (as different brain areas ‘think’ different) make us ignore relevant evidence (e.g. preference for a political party). In this chapter, the author presents one of the world’s best poker players and how he applied different tactics in each different game. We find out that when there is no obvious answer, a poker player is forced to make a decision using the emotional brain (players that trust their emotional brains make the most money). Also, spending more time on shopping decisions leads to more satisfaction later on. Jonah Lehrer also gives the reader some advices on how to make good decision (acquire the information with a conscious mind and wait for the unconscious to digest it). A story presents research made on stock traders a few years ago. They had their heart rates, blood pressure, body temperature and skin conductivity monitored while they made thousand of financial decision on a daily basis. Results report that most of the financial transactions were accompanied by feelings (sweaty palms, spiking blood pressure), and the ones that weren’t, were the worst ones. So emotions are profitable. Also, thinking about what we are thinking is possible by alternating between emotions and rationality. In all 8 chapters, the author emphasizes the importance of the prefrontal cortex (outermost layer of the frontal lobes) in rational planning, as this area is designed to come up with creative answers and insights that lead to right decisions (“from the perspective of the brain, new ideas are merely several old thoughts that occur at the exact same time”) and it is also an information filter for disagreable points of view. Together with the anterior cingulate cortex, the PFC has executive control in the brain. The dorsolateral prefrontal cortex is regarded as the rational center of the brain and although the frontal cortex is responsible for reason, intelligence and morality, a significant part of it is involved with emotions. 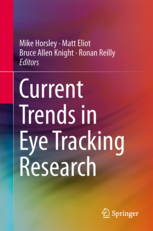 The research presented in this book was conducted by scientists such as Antoine Bechara, Antonio Damasio, George Loewenstein, Mark Jung-Beeman, Brian Knutson. Dan Ariely, Read Montague or Michael Gazzaniga. Although the chapters involve considerable neuroscience insights, Jonah Lehrer introduces each concept using stories and making the text lighter and engaging the audience. For me this was an insightful, great reading experience.